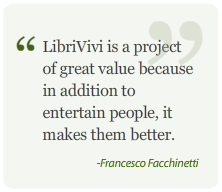 You can listen to any normal audiobook or you can choose LibriVivi and feel the difference. With LibriVivi, the Italian voices of your favorite Hollywood stars interpret the best of literature, poetry, and theater. Our audiobooks have been created with a finesse that can’t be found elsewhere, they are the end products of a meticulously well-orchestrated artistic process. Each character deserves a specific interpreter. Not just a read book, but a spectacle acted out for you. Explore the most influential historical time periods. In LibriVivi, the sound effects and musical undertones recreate the atmosphere of the period in which the story unfolds. LibriVivi’s style together with the high quality 320-kbps sound capture your attention and create an unforgettable experience. LibriVivi’s offers five genres of literature, poetry, and theater. Choose your own style and re-experience the world’s greatest classics. Are you a true book lover? 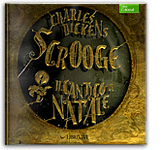 In addition to digital editions, you can also purchase CD’s box-set editions of your favorite LibriVivi Audiobooks. Travel new roads, experience new cultures, and realize each day that you are enriching yourself with new ideas, experiences, and knowledge, all by means of an extremely enjoyable pastime. Follow the italian text as you listen. 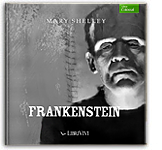 The digital editions include eBooks formatted as screen plays, works of theater, or traditional texts. 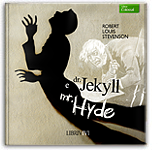 Covers, layouts, adaptations, interpretations, soundtracks, and much more – every detail has been included to better express the unique art within each audiobook. 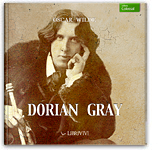 MP3 LibriVivi Audiobooks files are complete with all the necessary information and are positioned to as to be easily found and referenced in your digital library. 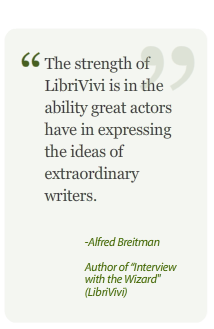 If you’re an aspiring actor, listening to LibriVivi can be an important tool for refining your theatrical skills and, a such, LibriVivi represents a pivotal opportunity for your future career. Visit the LibriVivi store and listen to special premiers, read summaries of plots, and purchase or give as gifts your favorite audiobooks. Add LibriVivi Audiobooks to your digital library and you can bring them with you wherever you go, listen to them whenever you like, and have complete and totally flexibility of preferences in any situation. 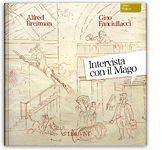 LibriVivi Audiobooks are created to meet the specific needs of the authors in expressing their work, both in the adapted editions for the cinematic versions and in the original texts.